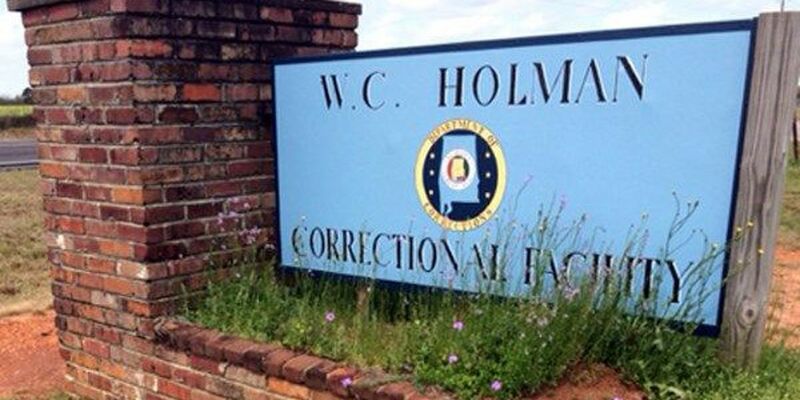 ATMORE, AL (WSFA) - The Alabama Department of Corrections has reported an inmate work stoppage at William C. Holman Correctional Facility in Atmore. According to ADOC, about 10 inmates didn't report to the facility's kitchen to prepare breakfast Friday. Later in the day, about 35 inmates didn't report to the tag plant, which produces the state's license plates. Officials called it a "peaceful protest" and said the inmates haven't made any demands. ADOC staff are performing routine services and maintaining security. The facility hasn't been placed on lock down. Prison officials say there aren't any other reports of work stoppages at the state's other correctional facilities. Copyright 2016 WSFA 12 News. All rights reserved.